This Saturday we had the best family day we have had in a long time. Now I feel bad saying that when we actually left Elsie at my Dads for the day, but it was important for us to make the most of the day for Gracie and Zach. 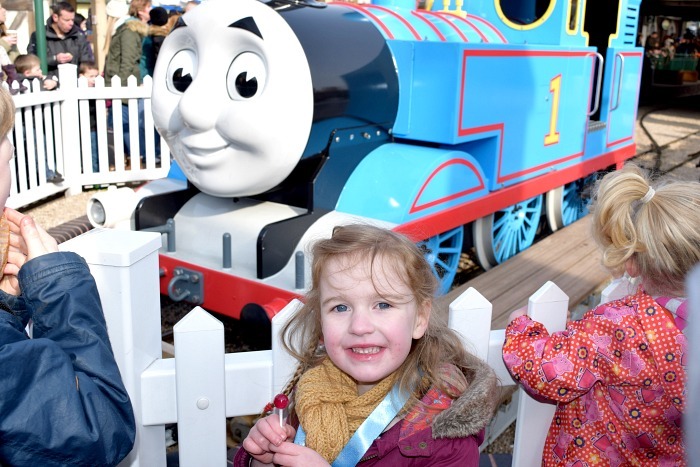 We were invited to review Thomas Land at Drayton Manor and I have to say I don't know who was more excited, us or the kids. When I was younger we went to Drayton Manor quite regularly but it always seemed so far away. Turns out that was just childhood excitement as we realised it is only 30 minutes away. I actually cannot believe that I hadn't yet taken any of my kids as I thought it was so far away *facepalm*. That does mean that it will most definitely not be the last time this year! The fact they hadn't been before did make it all the more exciting though, I knew they would love it and couldn't wait to see their little faces and they just couldn't contain their excitement. What is even better is we got to enter the park an hour before it opened to the public. Thomas Land itself is so much bigger than I expected it to be. Like you just don't know where to start. We decided to hop on Rosie at Knapford station first so we could see some of the park. The kids loved riding on Rosie and Gracie's face when she turned around to take us back. 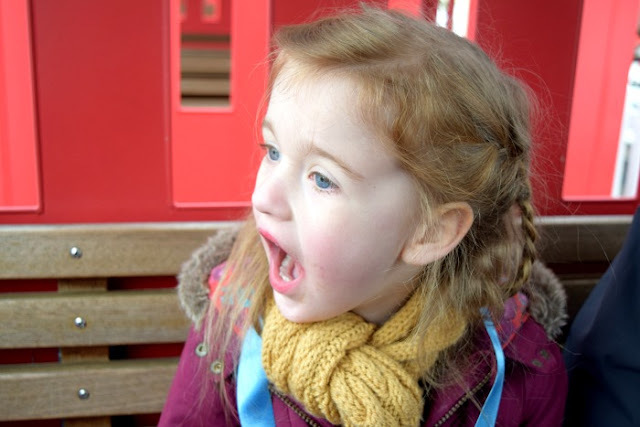 As the driver got out to get her to turn around, I saw Gracie's face before she exclaimed 'Mummy look that has got to be magic because nobody is driving!' That one moment literally made my day. When we returned we decided to jump on some rides before the queues would start. 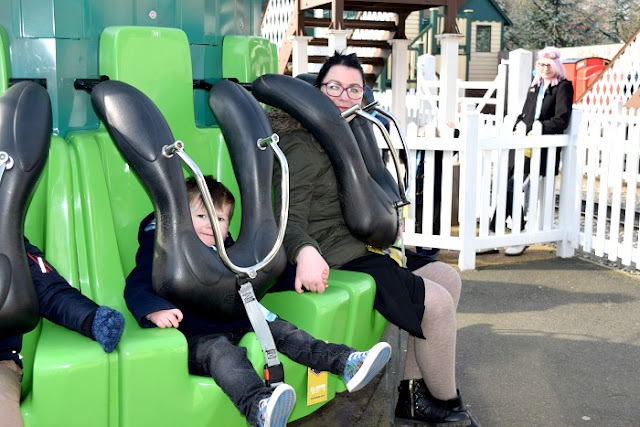 We tried three of the newest rides; Captain’s Sea Adventure, Flynn’s Fire & Rescue and Toby’s Tram Express along with Jeremy Jet's Flying Academy and Blue Mountain Engines. These rides are right outside of Sodor Airport with it's VIP rooms and balconies which have incredible views over Thomas Land. The VIP rooms are so fun, Gracie and Zach made sure to explore each and every room as well as spying off the balcony. We managed to get a great spot to watch the Thomas Land show at 12 which was great fun! (shows are at 12pm, 1pm, 2pm & 3pm at Knapford Station balcony). With singing and dancing from the Fat Controller himself and appearances from the popular trains. I did get a video although the kids sensed me trying to capture their dancing and instinctively stopped each time I lowered the camera! After the show we decided to head over to the zoo to break up the day a bit. I had forgotten how much I love Drayton Manor Zoo. I am always in my element when I am at Zoo's or parks and get the opportunity to play around with my camera. 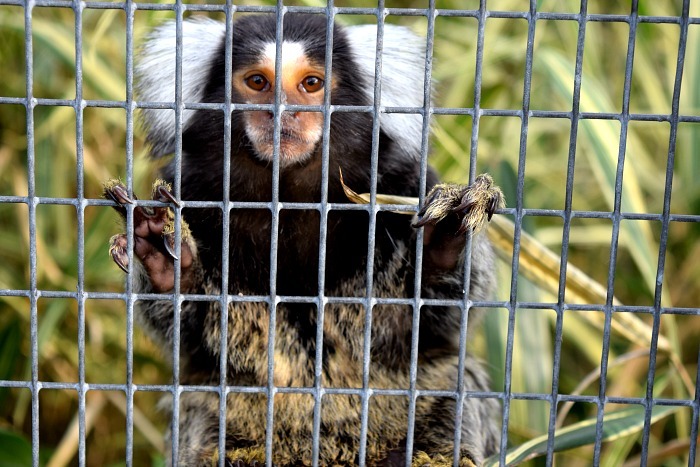 I find the animals fascinating and there are so many big characters at Drayton Manor Zoo. 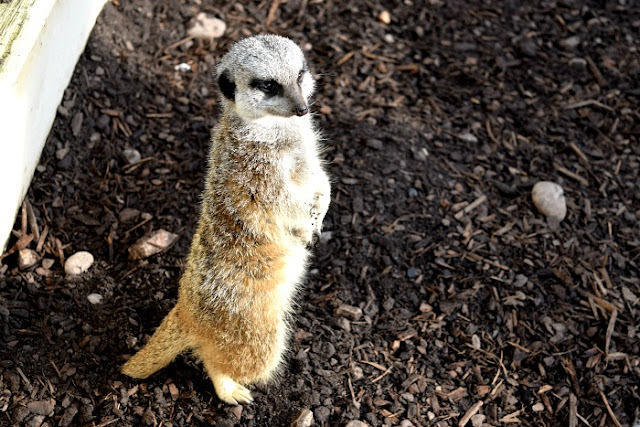 The Meerkats are brilliantly entertaining. Me and Hannah (A New Addition) spent so long watching and laughing at them that we realised we had both lost our partners and kids. So we carried on happily visiting the next animals and snapping photo's until we found them again. By the time we had admired all of the animals we headed back towards Thomas Land for more rides. We popped on the Carousel, had an aerial tour on Winston's Whistle Stop Tours and had some driving experience with Sodor Classic Cars. Me and the kids went on Cranky Crane, which was by far my favourite. Gracie was giggling hysterically one side of me and Zach was the other with a half-excited, half terrified grin on his face. Me and Gracie went on the Troublesome Trucks Runaway Roller-coaster. She was quite funny on this one, she was terrified one minute and laughing uncontrollably the next. She kept on telling us how scary it was when she got off. Poor Zach was just inches too small for the roller-coaster but it was the only ride that he wasn't tall enough to go on, which isn't bad for a 3 year old. By the time we had done all of this, it was almost time to go. We actually didn't manage to do everything in one day. I think this is a great thing. When paying for a day out, the last thing you want is to run out of things to do before the end of the day and have to repeat everything again. The parts we missed which we really wanted to do were; Terence's Driving School, Spencer's outdoor adventure playground (which looks amazing and was the first thing we spotted we wanted to do but just ran out of time), Rocking Bulstrode, Emily's Play Adventure and Diesels Locomotive Mayhem. There is just so much to see and do. These will be first on our list next time. The shops in Thomas Land are great. I love to see themed shops that are solely focused on the character that the park is about. We bought the kids some nice new Thomas books as a treat. Gracie was quite upset that she couldn't buy a cuddly Rosie in the shop and that Daddy failed to win her one at one of the play to win booths! She is a huge Rosie fan and wanted to take a cuddly one home to share with Elsie. They should definitely sell her in the shops too. 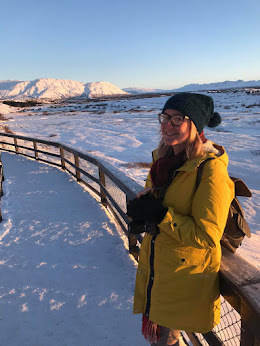 Although we didn't take Elsie today, I think she would have loved it too and I noticed plenty of things that would be suitable for her at 18 months and there were buggy parks and hire pushchairs to cater for the little ones which is fantastic. At the end of our day, I made a short video with Gracie asking her all about her first ever trip to Thomas Land. You can see what she thought by watching the video. As an added bonus, as well as allowing us to visit this weekend, Drayton Manor will be choosing 10 Bloggers to become ambassadors for 2016. 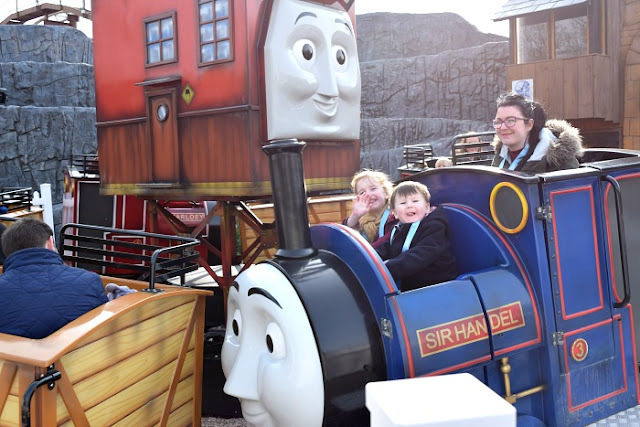 We had such an amazing time and whether or not we get chosen as ambassadors, I would like to thank Drayton Manor for the opportunity and allowing us to create fun family memories. 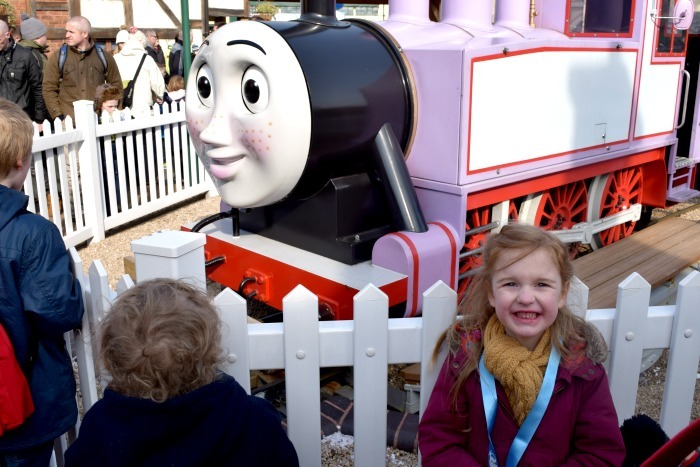 This is my entry into the Drayton Manor Blogger Ambassador competition. All opinions are my own. It was lovely! It is a shame, my brother was Thomas obsessed and would have loved it when we were kids! Haha my brother was the same and he is 23 now. It is such a shame they didn't do it sooner! Oh aren't you lucky it's so close to you! We've been a few times and always thoroughly enjoyed it. Yes I can't believe we never realised. We will definitely visit again n the Summer! 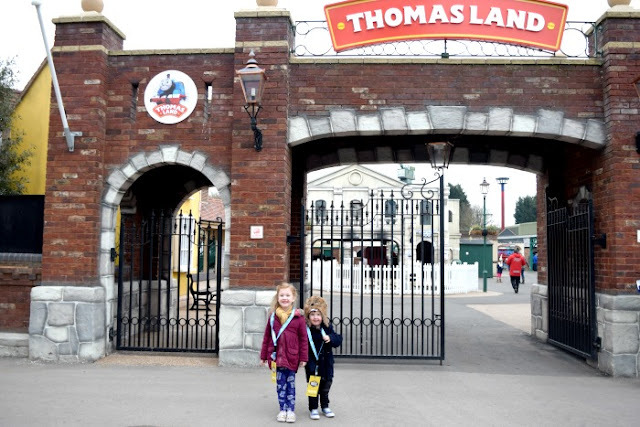 I remember when I first learned about Thomas Land - my son was a toddler and we all enjoyed the day - fond memories that I'm sure you will all have when they're older! I'm still trying to figure out if I saw you or not! I'm glad you had a great time - and went on Cranky's Tower Drop too! I used my middle son as an excuse to get on there, I loved it! I am not sure either! It is hard telling who people are in real life without name badges! lol yay I am glad I am not the only one who loved Cranky's Tower Drop! We went for the first time too and loved it! Such a fantastic day out. Awesome glad you had fun too! I know my two would love to go to Drayton Manor given the chance even though they are probably a bit too old for it! Thomas land sounds great! I have a little chap that would love to visit! it's cool they have a zoo too!! sounds like you had great fun! Yes the zoo is brilliant and in my opinion is better than our nearest local zoo! Looks and sounds like you had a great day out! My son loved Thomas the Tank Engine when he was a little boy, he'd have really enjoyed Thomas Land! Aww it is a shame they didn't think of it a long time ago. I think it was Ribena Land when I was a kid. Thank you! It looks like everyone loves it no matter how many times they visit which is so nice to hear! Looks like such a great family day out - shame it is too far for us - maybe we will have to take a holiday in the area! My boys used to love Thomas Land when they were younger. They are now mini thrill seekers! Aww I hope my kids end up like that as I love rides! 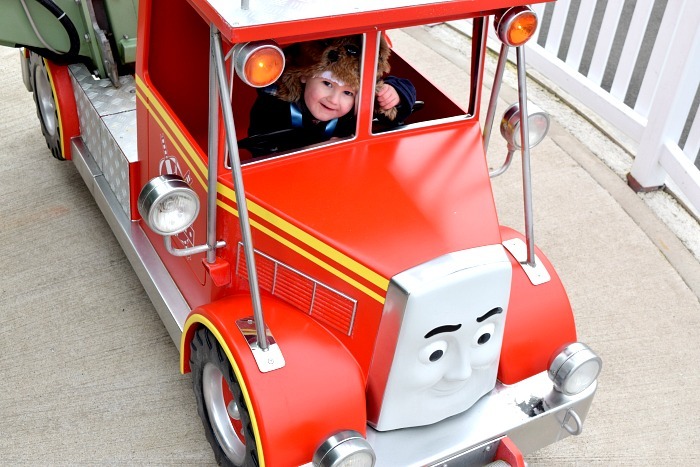 I love the look of Drayton Manor I just wish I were closer as I know Harry would love it.